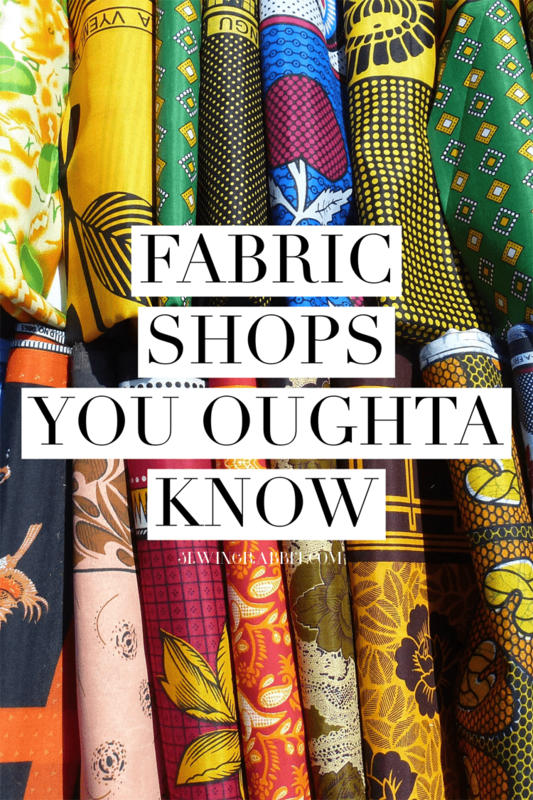 One of the questions I get e-mailed all of the time is, “Where do you shop for fabric?”. This often comes from people who find out that they live near my hometown, as we are always looking for great local fabric shops. Am I right? Sadly there are not many brick and mortar stores that I can recommend locally here in Virginia Beach, outside of my ever fabulous Jo-Ann Fabric & Craft Stores. But I can let you know some of my favorite on-line haunts. So here they are, places I spend ridiculous amounts of money at on a regular basis…all in the name of sewing. Ummm…work, I mean work. 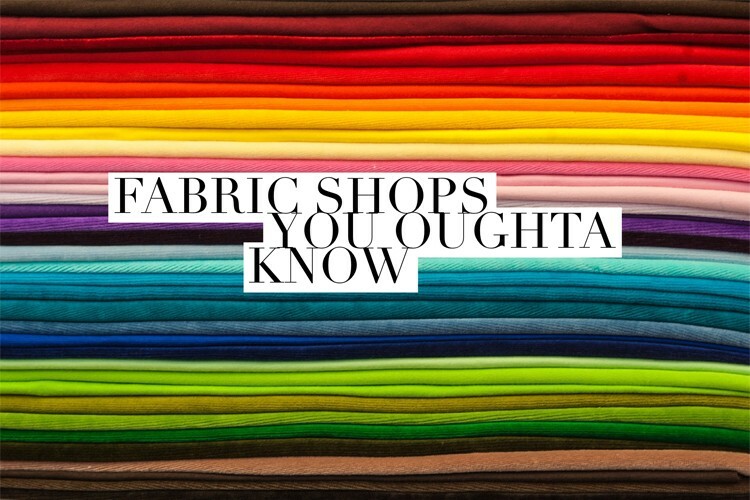 Some Fabric Shops you Oughta Know. I adore this shop, it has high quality cottons and double knit gauze prints from all over the world. But the best part, this store is local to the US – so it ships faster. Its like your favorite little handmade indie / artsy store for high quality products. I drool over something every time I visit. And for when you don’t mind waiting a couple of weeks to get your fabric, you need to shop here. I am so in love with everything Miss Matatabi sells. 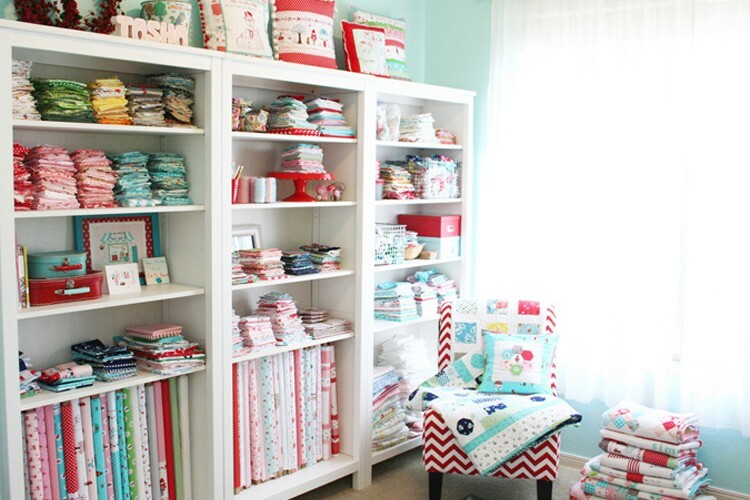 Her fabrics are always the best, and unlike anything you can find here in the United States. Remember back to when you were in High School, and you anxiously awaited by the postbox until your college acceptance letter arrived? Ordering fabric from Miss Matatabi is kind of like that…but better. 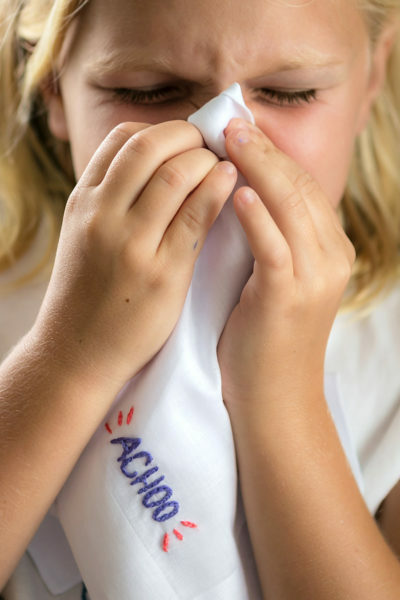 Where would the sewing world be without our local Jo-Ann Fabric & Craft Stores? I am at mine at least once a week, for almost all of my basic sewing supplies and day-to-day fabric. My local Jo-Ann’s Store carries some awesome fashion apparel fabric, and has a fantastic clearance bin to boot. The ladies there are friendly, and keep the line moving (which might be an anomaly among fabric store stereotypes). So long as you are not going there on Black Friday, you will love it. If you are lucky enough to be local to Los Angeles, than you probably visit this store regularly. LUCKY YOU, because that means you get to shop the $1 bins in the clearance section. For the rest of us uncool non-LAers, we will settle for shopping on-line. I am constantly on lowpricefabric.com for quality fashion apparel fabrics, sequins, and more. They have the basics that I want, at pretty decent prices. And you can usually find a coupon, which is even better. As in, I watch Project Runway MOOD. Having visited this store in NY on multiple occasions now, I can tell you it is pretty awesome in person. But the on-line store is not bad either. A little bit harder to navigate, but you can find some absolutely GORGEOUS designer silks and fabrics for your more detailed, couture looks. I can spend a pretty penny in this store, when the occasion calls for it. But the fabric makes me want to cry when it arrives because it is so dang perfect. For a fun knit print at a great price, I think Girl Charlee is simply fabulous. I love the prints I can find easily, and am able to get loads of it for under $20. It’s the perfect store for stocking up on T-Shirt or maxi skirt fabric. Whether its tribal, stripes, floral, nautical, or forest animals – whatever the latest trends are – Girl Charlee usually has it. Do you love Liberty of London fabric? Do you want to see it all in one place easily, and browse worthy? Then Duck a Dilly is for you! Talk about fabric heaven. I can just look at all of the pretty fabric pictures for hours, and don’t even get me started on my private pinterest boards. HA. Loooove. I almost didn’t want to mention this one, and give away one of my secret gems. But this little Etsy shop has been my one-stop shop for leather for more than a year now, and I love it. It has every color imaginable, some even with cool designs. And you seriously cannot beat her prices. Just pretty, pretty please leave something left for me once you are through shopping…mmmkay? Technically, not a fabric shop. But whenever I am looking for a little bling to add to my designs, this is the first place I look. Shine trim has the most gorgeous, and well priced sequin and rhinestone appliqués around. Things I can never find in any fabric shop, no matter how hard I look. I lovety love this store. A local NY fabric store, similar to MOOD…without all of the publicity. If you are ever in NYC, you need to stop by this place. It is AWESOME, with a killer trend board. I am particularly fond of their embroidered cotton and eyelet section, along with their classier knits, and linens. And for those occasions when I am looking for quilters cotton, Fat Quarter Shop is where you will find me. I usually stop here first for all designer brand named quilting cotton, and then if for some reason they are not stocking the brand I am looking for – will do a google search to find an alternative. But FQS has done a fantastic job remaining relevant in an ever-fast paced on-line fabric store world. Where the turn-over rate seems to be moving faster and faster, Fat Quarter Shop remains constant. And they have always supported sewing bloggers, which I love them for. And lastly, where would I be without Spoonflower? Well, a lot richer for one. Ha! But I love shopping on this absolutely addictive fabric store, for its one-of-a-kind designs. Designs that you can get printed in any fabric type, from indie designers with talent the world has yet to discover. The one lesson I have learned the hard way though, always order a swatch first. But still, you gotta love em. And there you have it, some of my fabric store faves. I am sure there are loads I am missing, but off the top of my head – this list isn’t half bad. Just make sure to have a budget in place before clicking away!!! You’ll thank me for that later. is Spoonflower in Durham NC? You left out the most fabulous store – Mary Jo’s in Gastonia, NC – conveniently located one exit away from the Charlotte, NC airport. I have no connection to this store, other than I’ve visited it a couple times in person and love it on line!!!! MaryJo’s USED to be good but now not so much unless you are looking for upholstery or drapery to order fabrics. Dressmaking fabrics are totally in the past. Wools, gone. No bridal and special occasion. The sewing machines are history. Still have notions but selling out all patterns. Also, Fabric.com has a huge selection and free shipping over $35. I love Fabric.com and Distinctive Fabric.com. But my favs for quilt fabric are Jordan Fabric in Oregon, and Missouri Star Quilt Company for anything Donna and Mat don’t carry. One of the finest fabric stores in the south !!!! It would be a treat for you to stop in. One of the best formal and bridal selections. The day wear knits are just to many to choose from. They also have a great selection of wools and linens. Not to mention all the colors of Swarovski Crystals you night need. Try zipperstop.com and amazon for bulk zippers. I’ve used them for purses and small cosmetic cases and rarely get a zip that’s unusable. Wawak.com is a great online site for everything sewing. Fabulous quick service. 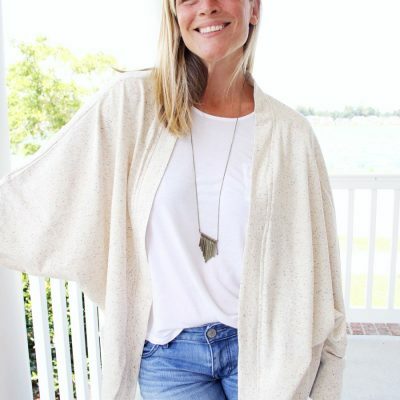 http://chateausew.com in New Orleans and online! If you have a favourite notions spot (that ships to Canada), I’d love to hear about it. the button selection at my local fabric store is horrendous. have you tried lotsofbuttons.com? China, think they ship worldwide. fabricgodmother.co.uk sells end of line and bin ends of designer fabric, just bought some fab D&G silver linen. Carolina Foam and Fabric in beautiful Black Mountain, NC. Fabric Depot in Portland, OR is a sewing super-center! Every type of fabric you can imagine and if they don’t have it, they would likely find it for you. They have a wholesale department where you can get a great price on full bolts and bulk notions. Bridal fabrics, home decor, quilting cottons, woolens (including alpaca! ), and more. They also sell online – although this doesn’t give you the experience of what a sewers heaven this is. It’s so popular in the Pacific NW, that there are quilting tour buses to the place! Don’t forget Britex Fabrics in San Francisco…WOW! I agree totally! The button selection blew me away! Four beautiful floors of everything sewing! How could this one be left off the list. JoAnn’s? Really? It’s so common why would it make this list? If you don’t know JoAnn’s you obviously don’t sew! Don’t forget Rainbow’s End Quilt Shoppe in Dunedin Florida. This shop is the largest in the state. It is convenient and easy to reach from Tampa, St Pete, Clearwater, largo. The shop has thousands of bolts of cotton fabric, ribbons, felted wool, books, patterns and a large selection threads. The staff is always willing to help you coordinate fabrics for your projects. All I can say is WOW… I am so lucky to be able to shop here on a regular basis… but not to worry, they also do mail order. Great list. I’d add equilter.com in Colorado. getting a package from them is like getting a beautiful Christmas gift every time ! This shop is the best and the ladies who own/work there are the best. So many places, so little time (and $$$)…I have so many quilt shops I love in many parts of the USA. Waechters, (Asheville, NC) known for silk fabrics, but carries other fabrics as well. Britex (San Francisco, CA) fair selection of quilting cottons; great selection of high end apparel fabric including wools. Expensive. Fay Nicoll Judaica Designs (Margate, FL) If you need Jewish fabric such as for Hanukkah, they have a great selection and do mail order. They sell their fabric to other quilt shops across the country. Pull them up on the web and look under the locations tabs organized by state. G Street Fabrics (Rockville, MD) All kinds of fabrics, notions, etc. Patches Quilting and Sewing (Mt. Airy, MD) Good assortment of quilting fabrics, notions and books. Diane Von Niekerk, South Africa (I’ve ordered kits from her and it was worth every extra penny for shipping from South Africa to the USA. I know there are more, but these are some of my favorites and go-to’s! Thanks for featuring Girl Charlee on your list! I just wanted to update you and let you know that we are now selling to Europe through http://www.girlcharlee.co.uk. I would love for your readers to also check out my store which has bright prints and batiks. http://www.etsy.com/shop/urbanstax. Don’t forget My Girlfriend’s Quilt Shoppe!!! You’re not too far away from a great shop in South Western Virginia… East of Christionsburg and Blacksburg there’s a little bitty town called Floyd VA. And a three floor store called Schoolhouse Fabrics… it’s AMAZING!! And they have a website. Oh man, I was so excited! I just checked it out, and it is still a 5.5 hour drive from me :(. But good to know if k am ever in that area!! Thanks!! In Gastonia, North Caroline there is one awesome place called “MARY JO’S CLOTH WORLD”. Would highly recommend this store for any fabric you can think of!!! You didn’t say enough about Michael Levine. First, they have TWO BIG stores. One store has every kind of apparel fabric you will ever need, and every notion you can think of. They also have a huge section of quilting cotton. Across the street is another huge store, filled with upholstery, home decor, and drapery fabrics, as well as everything you will need to finish your project. The people who work at both of these stores are helpful and knowledgable (unlike those at my local Joann store). I’m not fond of their website, though it is improving. If you are anywhere near southern California, make the trek. And if you get hungry, there will be someone selling danger dogs out front. Mill End Store in Portland, OR is unreal! They are old school, and deal mainly via brick & mortar, but it’s worth the pilgrimage! This is the ideal place to beef up your stash for the year! I thought I would add one here in Kansas. Sarah’s Fabrics in Lawrence. They have unique, wonderful and trendy fabrics in a very old downtown building with creaky floors. It’s located right in the heart of downtown Lawrence, the home of Kansas University. It has been discovered by me during visits to my sons while they were attending KU. Wonderful place! I second Sarah’s in Lawrence! They have the most incredible selection of quilters cottons and batiks. They also have a better selection of couture fabric for clothing. If you are driving across country and find yourself on I-70 this is worth a stop in Lawrence! Check out fabricspark.com from Toronto. I humbly boast that we have the most beautiful fabric and we ship worldwide. If you’re looking for novelty prints in cotton, flannel or double-faced pre-quilted, please check out FabricParadise.com! We’ve been hoarding ooops collecting novelty prints for 20+ years and our selection keeps on growing! What about weaveup.com? Their website allows you to totally customize the designs (your uploads or their own collection) with your own color palette or scale etc. Great option if you are trying to match new fabric to something you already have, especially if it’s an unusual color(s)!! A while back i found this quilt shop that is really good. If anyone is in Minnesota or planning to travel here SR Harris is worth a check in. They have every fabric you could ever imagine and it’s sold at 50% off plus their website has coupons. Hey guys a great quilt shop that I would recommend is stash builder box it is a great textile shop that basically gives you a subscription for 3 yards of fabric every month. I think that it is great and would recommend it to you guys. There is an absolutely wonderful gem in Rochester, MN called Ginny’s Fine Fabrics. The staff is so helpful. And Ginny herself can put the most beautiful combination of fabrics together. I went to #1 on your list and there was so much I wanted I was afraid to go to #2. Maybe in 10 or 15 years after I sew everything I want from #1. If anyone is interested in the best fabric store I’ve ever encountered, it is in Southern Maryland (La Plata). Material Girls is a GORGEOUS fabric boutique and Bernina dealer. My in-laws own and operate it Mon-Sat. It is one of my favorite places in the world. Even before I married into the family, I frequented their shop – it’s appeal is magnetic and you won’t be sorry for visiting!!!!!! Thanks so much for sharing this list with us! Wilson’s fabrics in Anniston, AL!! !